The relationship between fashion and sportswear is historic but the two have never been more intertwined than today. Fashion designers continue to take the technical structure of performance fabrics to new places blurring stadium, street and catwalk like never before; sportswear is now luxury and is as omnipresent as we’ve known it on the runway. Gosha Rubchinskiy collaborations owe a great deal to one of the most iconic brands of all time; Air Jordan undoubtedly invented the sports fashion crossover. Signature sportswear lines for the athletes who made the brands famous are now ubiquitous but Nike’s relationship with Michael Jordan would transform the endorsement deal and in turn would revolutionise the way we think about Sneakers. There was no shoe that would quite capture young, fashion consciousness minds in the way the Air Jordan I did in 1984. The NBA imposed strict uniform guidelines; footwear of teams needed to match. Nike and Phil Knight made the most of the NBA’s conservative policy. The black and red sneaker for MJ was banned from the court. Whether MJ actually played a competitive match in a pair has had eagle-eyed sneakerheads debating ever since, regardless, Nike capitalised on the moment with a distinctive ad campaign. “Fortunately the NBA can’t stop you from wearing them” the closing line of the commercial appealing to America’s rebellious streak would work wonders and in twelve months, $130 million-worth of Air Jordans would be sold. There was no greater statement of style and attitude, on or off the court, than a pair of Nike Air Jordans. Aesthetically the Jordan revolutionised style on the street but it’s Michael Jordan’s own endeavours on the court that makes the brand as successful as it is today. Having won six Championships’, he was the number one player in the league, a player who did everything possible to win. MJ is the sporting icon of a generation and it’s the enduring image of MJ the champion that has made the brand what it is, the reissues of classic shoes give us the chance to buy a piece of MJ history. You can win at school, at work or on the court. Air Jordan gives us that chance to “Be Like Mike”. The MJ phenomenon of the 1980s and 90s would emerge at a time when Basketball was beginning to grip the Middle East. As High-School leagues drove the competitive edge of the sport in Dubai, this mirrored a desire for the latest sneakers and the growth of Hip Hop culture in the region. In no small part, can the love and aspiration for Jordan footwear be accounted to the growth of the Filipino community in the city. The Philippines is a nation of Basketball lovers, comprising one of the most passionate and biggest audiences for the NBA outside of the US. They would be a cornerstone of early street-ball and amateur leagues in Dubai and helped grow the sneaker culture in the city. Sport and Sneaker culture are deeply entwined; no sport has had as big an impact on the culture than Basketball. Tennis and Running shoes have their own diverging scenes but in the world of Hip Hop and in the mind of the Middle East collector, Basketball is number one. The Jordan brand is synonymous with rap culture, in the 1980s, Spike Lee’s Buggin’ Out would clean his Air Jordan IV with a tooth brush, LL Cool J would be on the front cover of his ‘I’m Bad’ album in a pair of J’s, this relationship to the streets and style of Hip Hop has reached its apex for Brand Jordan with Drake announced as the newest member of the team. As the “Jumpman” artist embraces his role as brand ambassador, he continues to propel Jordan into the luxury fashion arena. Jordan is no stranger to high-end collaborations, luxury detailing or even made in Italy tags, but the latest line of shoes as designed by the OVO impresario is a new echelon in casual. The white and gold signature touches are befitting the glamour of a city such as Dubai. The growth in contemporary fashion outlets, offering the very best in independent and luxury brands in Dubai has catapulted the city into a new era of refined style. A swathe of sneaker boutiques offer the very best limited shoes, collaborations and hard to find colour ways. The introduction of a Jordan brand store to the city will further drive competition and act as an important home for Jordan fanatics, giving the long-waiting fans their chance to get the very latest releases and reissues at the same time as international drops. Those new to Dubai will undoubtedly have heard tales of a by gone era in which sneakers were hard to come by, particularly the limited-edition lines reserved for cities like New York and London. 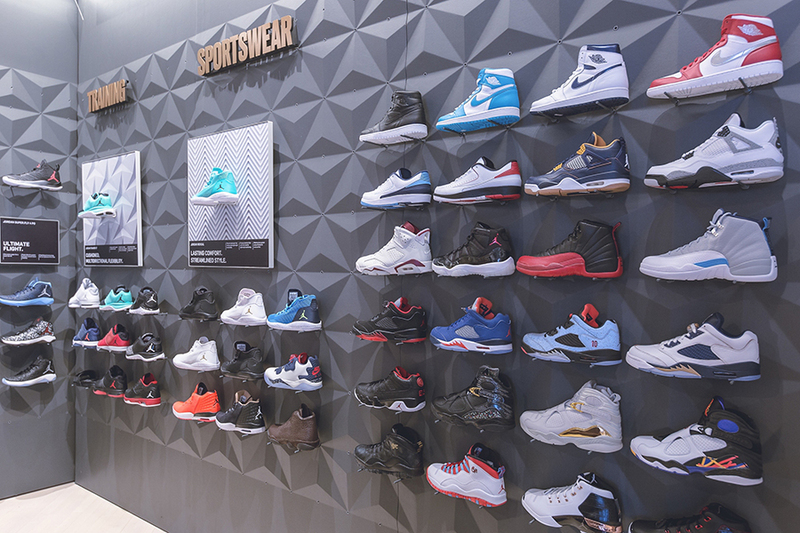 International hook-ups and trips abroad would initiate “where d’you get those” conversations, but now with the arrival of a Jordan store, Dubai will be firmly on the world stage as a bastion of luxury sneaker retail. 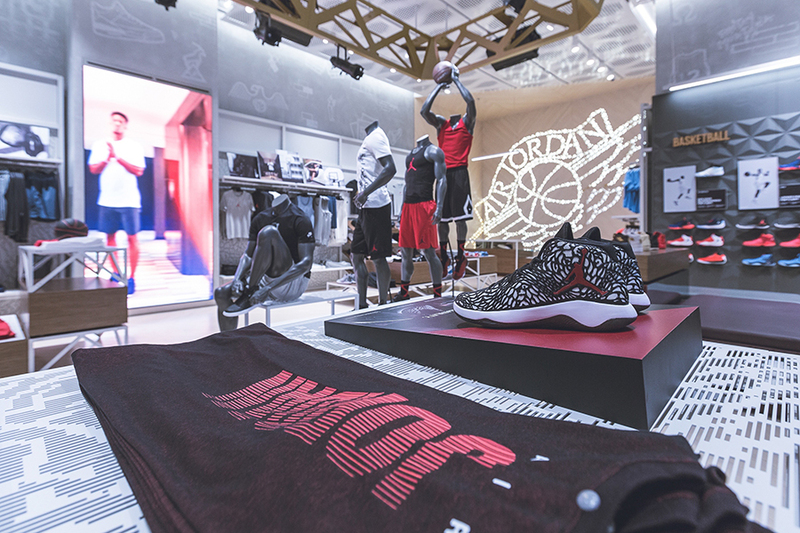 It’s with huge excitement that the arrival of a Jordan store is being met, and rightly so. 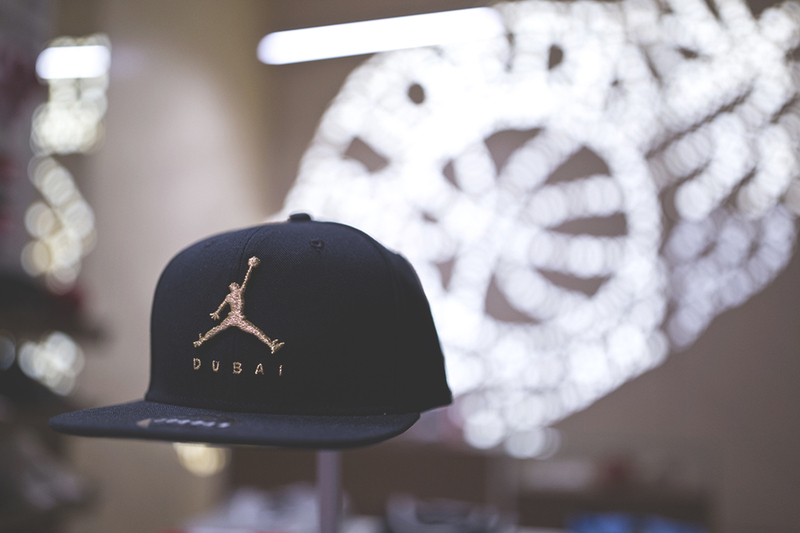 Dubai now sits alongside cities such as New York, Chicago and Hong Kong amongst those to have their very own Jumpman outlet. This is a new era in which basketball and sneaker fans are being catered to, no longer are the heads on the court being left waiting. 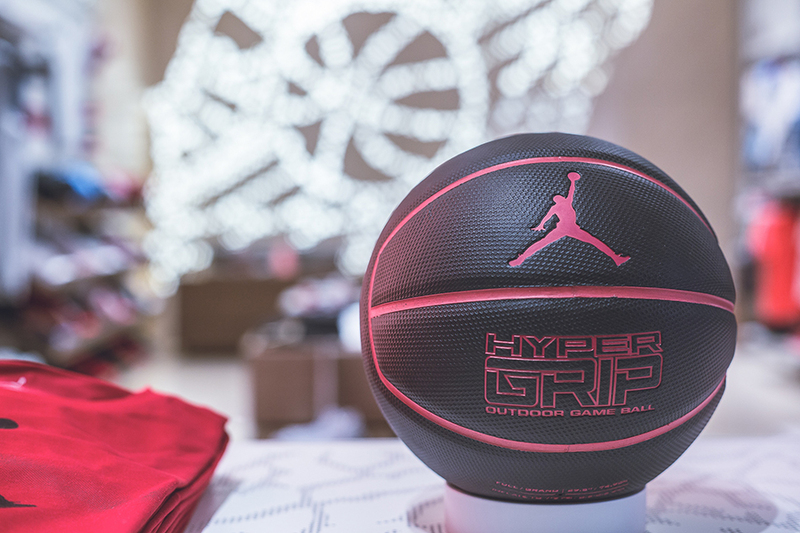 Fostering of both sneaker culture and basketball is an important way in which the Jordan store will stimulate the growth of youth culture in the city. 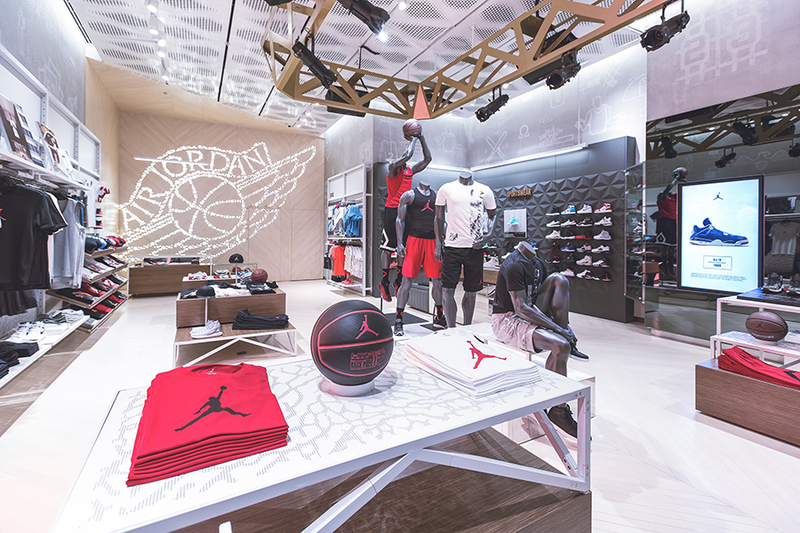 The Jordan store opens in Dubai Mall on 30th June, 2016.